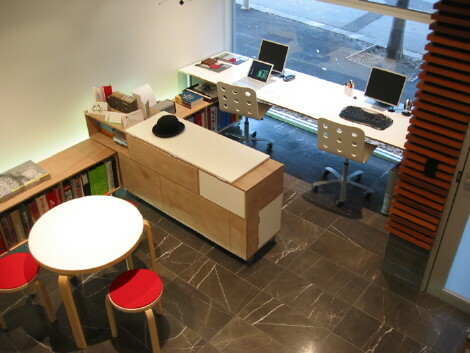 4site Architecture is a virtual design practice in Australia. 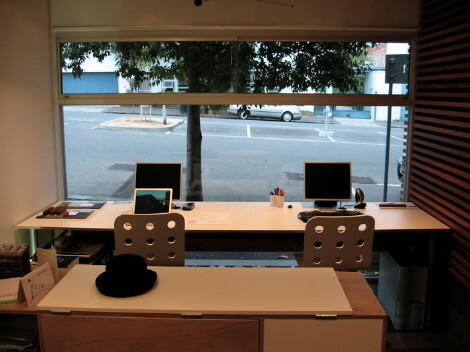 Their Melbourne office is located in an interesting live/work structure with a storefront like studio space on the street level and a small dwelling above. 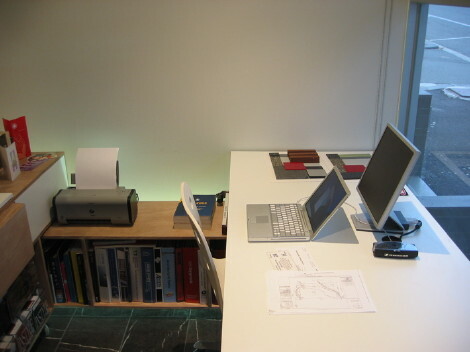 The designers have set up their desk right in the front window overlooking the street life. A great modern structure, nice stone floor, and great light all day long. It looks like a great place to work.